Noted for her ‘powerful flair’ and ‘elegant exactitude’, conductor HANNAH SCHNEIDER is a versatile musician establishing herself on the international stage in opera, symphonic, and ballet conducting. She was recently named assistant conductor of the Oxford Philharmonic, and appears as a guest conductor with Ballet Hartford (USA), the Maykop Philharmonic Orchestra (Russia), the Lviv-INSO Orchestra (Ukraine), and the Smolensk Philharmonic Orchestra (Russia). She began her musical career in violin performance at the Moscow Tchaikovsky Conservatory in the studio of Vladimir Ivanov and Alyena Chvertok. In 2013, she produced an album entitled “Music From the Mountains”, featuring child prodigies from the formerly war-torn North Caucasus region of Russia. Turning her attention to conducting, she then worked as personal assistant to conductor Valery Gergiev at the Mariinsky Theatre in St. Petersburg. 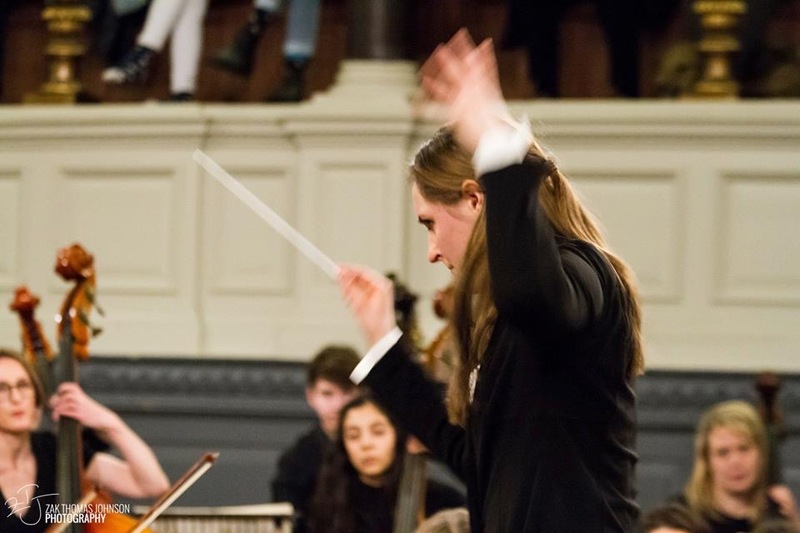 In 2017, she earned a master’s in music from the University of Oxford, and also won the conducting competition which awarded her the music directorship of Oxford University Philharmonia for 2017-2018. In 2016, she founded Oxford Alternative Orchestra, an ensemble dedicated to exploring the intersection of music, social impact, and marginalised communities. Acclaimed for its ‘norm-defying performance contexts’, the orchestra has given charity performances across Oxfordshire and on tour in Scotland. Schneider is an avid conductor of opera, and has recently conducted the first Oxford production of Harrison Birtwistle’s The Corridor, Verdi’s La Traviata with The People’s Opera. She is pursuing a doctorate in Music—specialising in Soviet opera—at the University of Oxford as an American Rhodes Scholar. Originally from Aotearoa New Zealand, Sasha completed a BA/BMus at the University of Auckland, with majors in performance bassoon and history. She spent eight years with the Auckland Youth Orchestra as principal bassoonist, serving two years on the executive committee and travelling to Berlin with the group to perform at the Young Euro Classic music festival in 2011. In 2016, she completed an MA on the Parisian reception of Tamara Karsavina, the prima ballerina of Diaghilev’s Ballets Russes, before moving to Russia to spend three months at the European University at St Petersburg as a graduate associate. She is currently in the second year at Oxford working towards her DPhil in History, supported by a Clarendon Fund scholarship and a Women in the Humanities award. Her thesis explores the sensory worlds inhabited by women in Paris and St Petersburg in the early twentieth century.